In November 2013 “Dave” was admitted to hospital following a hip fracture. Dave didn’t always like the food choices and at times found it difficult to drink enough. Several days into his admission his wife noticed a blister on his heel- she mentioned it to the ward team but felt she was dismissed. By the time of his discharge from hospital Dave had an established ulcer that required regular input from the community nursing team and podiatry. In June 2014 Dave was admitted to hospital again. The fact that he had already one pressure sore, combined with diabetes meant that he was at high risk of developing further pressure sores and this time he left with a further two pressure sores. Lesson one -Prevention is better than cure. 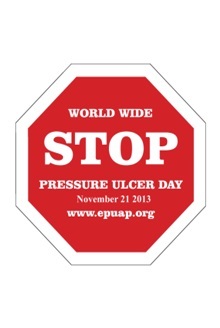 Each year 700,000 people in the UK develop pressure ulcers. Each pressure ulcer adds approximately £ 4000 to the cost of care. It has been suggested that 80-95% of pressure ulcers may be avoidable. Sometimes in healthcare as we concentrate our efforts on the complicated and exciting new developments that come our way we can lose sight of the simple things that can make a huge difference to the outcomes for our patients. 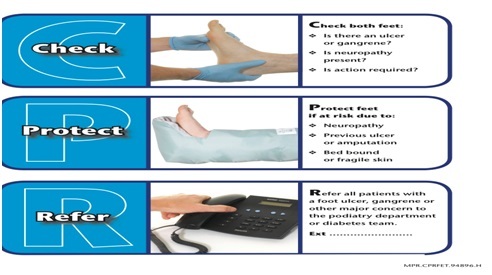 By paying attention to early detection of risk, encouraging patients to keep as mobile as possible, addressing incontinence appropriately and by improving hydration and nutrition we can make steps to reduce the risk of pressure ulcers developing. 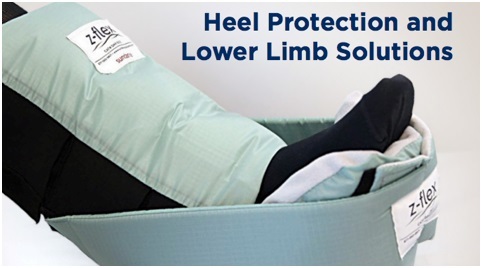 2 Protect – if pressure areas are at risk encourage regular changes in position, consider a pressure relieving mattress and apply REPOSE heel splints or Sundance Z-flex boots to relieve pressure. These are available locally by ordering through the PECOS system. Over the last few years we have all found ourselves under increasing pressure in the NHS. Some of these pressures relate to our desire to reduce harm, improve our patient’s experience of care, and finally to make financial efficiency savings. I have to make it clear from the outset that the views expressed here are my own – these are my personal views. They are nothing to do with being Associate Medical Director in NHS Dumfries and Galloway and do not reflect any local management or Board view! I’m writing this as an avid armchair follower of politics, current affairs and economics! I should also stress that I am a member of no political party. I am a passionate believer in the concept of the NHS and free health-care for all. My mum and dad tell me stories about how their grand-parents couldn’t afford to go to see the Doctor. In my view this is unacceptable, incompatible with a fair society and must remain in the past. On one hand we have increasing costs due to advances in health-care technology, changing demographics, increased expectation and the costs of prescribing. And on the other hand we have limited resources. Demand will always outstrip capacity. Just about every health-care system in the world is wrestling with this challenge, no matter whether they are publicly or privately funded. There will never be unlimited resources, or indeed adequate resources, to provide all health-care, free of charge, for all people. So how should we, as a society, respond to this challenge? Let’s consider an analogy. All households have a defined income. 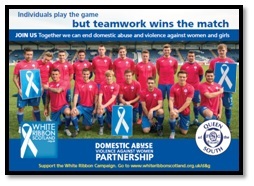 We might moan about it and complain, but there’s not much we can do about it. So how do we respond to this? Most organised households will budget and align expenditure with income. There are fixed essentials, such as tax, national insurance, council tax and rental (or mortgage) payments, over which we have little control. But there are other outgoing costs which can be varied and influenced by the household (maybe not enthusiastically), such as, for example, food, clothes, heating, alcohol, etc. If times are hard, then a household will pull back to the fixed essentials and moderate spending in other areas, or to put it another way, the household will prioritise its spending. If we apply this approach to health-care, then we need to start debating and defining the essentials of health-care and what can we pull back from. In other words, we really are going to have to start discussing what we should be focusing our limited resources on and what we should stop doing, as not all interventions are equal. I suppose this goes back to my initial views on the pillars of a fair society. To maintain free health-care for critical, core services in the NHS, we are going to have to start redefining what health-care means and acknowledge that we can’t continue to provide the current range of interventions and services, if we want a sustainable NHS for the future. So, what are the essentials and what should we stop doing? 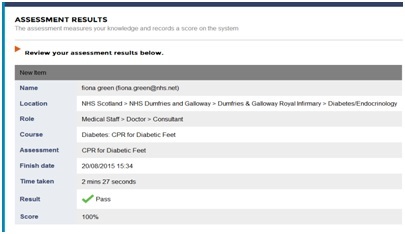 During my current secondment to the Emergency Department in DGRI, I recently had the pleasure of reviewing a patient who I will call Jane and who required admission for an acute health issue. Jane was very apprehensive and reluctant to be admitted which is quite understandable. However, on exploring this further to reassure her, I discovered that much of Jane’s apprehension surrounded her experiences during a previous admission to hospital. Jane had been a patient in a very busy general ward and she had required frequent assistance but English was not her first language. Jane was very conscious that her communication and understanding had caused her some challenges and she stated she felt “slow” because of this language barrier. Jane’s perception was that by requiring assistance, she was contributing to what she considered to be an already unachievable workload for busy staff. Jane was clear that staff had been efficient and had never expressed displeasure when she requested help but the speed at which staff interacted with her and assisted her, coupled with her self-awareness regarding her language had all made Jane feel “a nuisance”. After spending some time reassuring Jane, I came away from this consultation having been touched considerably by it. Because, all too often, I have been one of those nurses on a busy ward, rushing around to get my work done and trying to juggle many different ‘plates’ in the air. It’s so easy to get into this mind set in a healthcare environment which demands so much from staff to deliver optimal services with the limited resources we currently have and a potentially depleted morale. Who do we forget about when this work culture is put under the spotlight? Where does our most important element, our patient, feature in this busy work schedule? Of course, looking after our patient’s effectively is the reason we are all so busy but is that thinking doing our patients’ an injustice? If we had the chance to ask those who utilise our services and who we interact with during our hectic shift, how they view the busy environmental culture within our wards and departments and what they think and feel about our workload, what would they say? Ask yourself honestly how many of your patients’ or clients have said to you they “don’t want to bother you”? When I think of this, I am certainly left wondering whether I have given my patients the perception that I was too busy for them. Have the patient’s I’ve interacted with during a busy shift been left feeling as though they didn’t want to ‘bother me’ or worse, they didn’t want to be a bother to me? Like most people in the NHS, I came into this profession to care for people in the best way I can but are we achieving this if this is how our patients could be feeling? How have you made someone feel today? 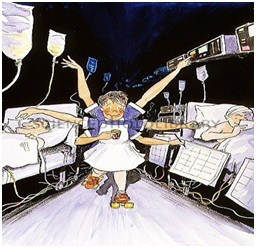 Its certainly a juggling act between making our patients feel listened to and valued and managing the hectic workload. Arguably, that juggling act has been no more challenging than it is in our clinical areas and departments today in the face of financial pressures, tight staffing numbers and a seemingly increasing need for our services. The problem is we are too busy but we need to make time for our patient. The solution is to free up time from our current schedule – what do we do consistently and regularly which we could look at? We perform many handovers during a busy shift, what would happen if we made these more efficient? How do we give this a try? How do we give this a try? When we come up against a question like this but our heads are full of everything else going on in our busy working day, we need a strategy to give us some direction. 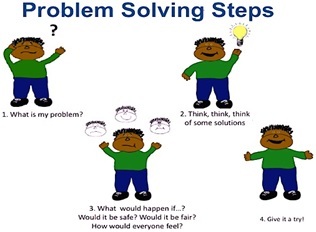 Think of this strategy as being our ‘work-place problem-solving’ SatNav! 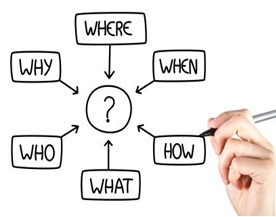 The destination in our ‘SatNav’ is symbolised by the question mark in this diagram and it brings us back to the question in our problem-solving steps – How do we achieve more efficient Handovers? WHY do we want to achieve more efficient handovers? – To release time to care for our patients. WHERE do our handovers occur? – In our care area and in other departments. WHEN do these handovers occur? – When we transfer patients and when we change shifts. HOW do these handovers occur? – Are they structured, formal enough and does everyone use the same approach? WHAT is handed over? – Do we communicate accurate clinical details in the right way to ensure the receivers clearly understand what we want them to? WHO are essential participants for our handover to occur? – Which staff groups do we need at which handovers? WHO?, WHAT?, WHEN?, WHERE? & HOW? By choosing just one handover process, which occurs at any point in your departmental working day, and answering these simple but crucial questions, you can begin to develop the structure for your departmental handover protocol. A simple protocol document is available either in electronic or paper form, which you can adapt to suit your specific area and handover needs. What’s more, you don’t need to do this alone, assistance is available from myself or Jean Robson as NHSDG handover leads or from members of the Patient Safety & Improvement Team or the NHSDG Handover Group to support and guide you through every stage. Never think you’ve finished – its always evolving! By making this frequently occurring element of our workload much more efficient, we will release considerable time in our day to give back to our patients, relatives and colleagues. 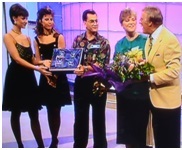 The added ‘Brucey Bonus!’ (and here’s a blast from the past!!) is that a more structured handover will improve the accuracy and safety of clinical communication, which will enhance cohesive, collaborative and consistent multi-disciplinary team working. The handover group are planning information sessions on 24th November 2015 to share existing developments from departments working on their handover processes, to learn new ideas relating to improving your handovers and give support in promoting optimal handover practice which is essential, valuable and time-saving. Do you see the question “Is it time to do the right thing? The focus of this blog has been the latter. Are we giving time? 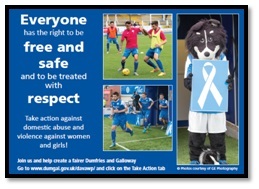 Are we allowing time in our day to ensure that we do the right thing by our service users and their relatives as well as our peers and colleagues? Think of your last work interaction with a patient, relative, colleague or client. During this, did you give them time and have you left them with the perception that you had time for them? If not, what do you need to improve? Did you make time to read this? Further information is available from Barbara (btamburrini@nhs.net) Jean Robson (jean.robson@nhs.net) or Amy Sellors, Patient Safety & Improvement Team (asellors@nhs.net).